Hindi Lyrics 4 U: Lyrics Of "Phir Aaya Woh Mausam" From Latest Album - Phir Aaya Wo Mausam (2016). Lyrics Of "Phir Aaya Woh Mausam" From Latest Album - Phir Aaya Wo Mausam (2016). 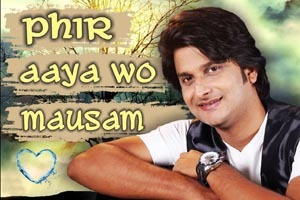 Nice romantic song sung by Arun Upadhyay and music composed by Raj - Ramesh. Lyrics of "Phir Aaya Woh Mausam"
Lyrics in Hindi (Unicode) of "फिर आया वो मौसम"